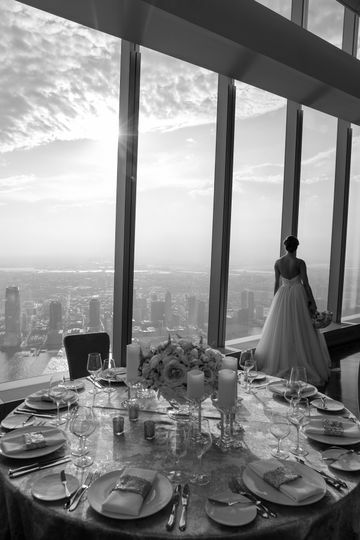 Aspire at One World Observatory is a unique wedding venue located in Manhattan, New York that provides a modern stage for a one-of-a-kind celebration. 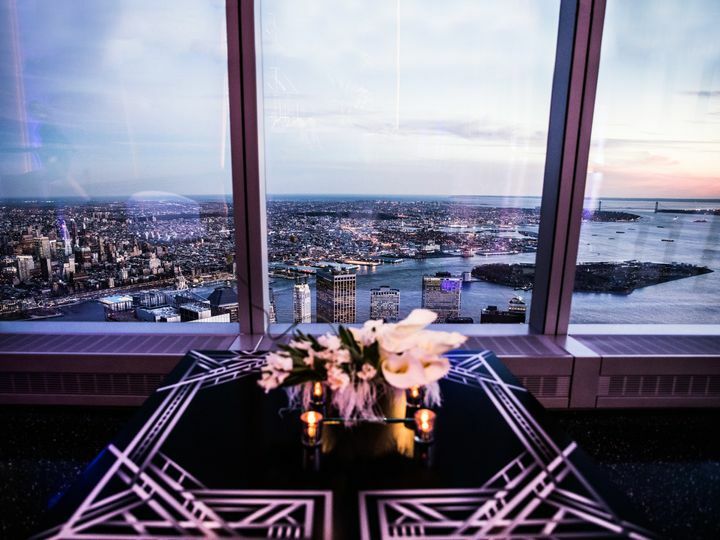 With contemporary architecture and unparalleled views, this dramatic event space creates the perfect backdrop for New York’s most elevated events. 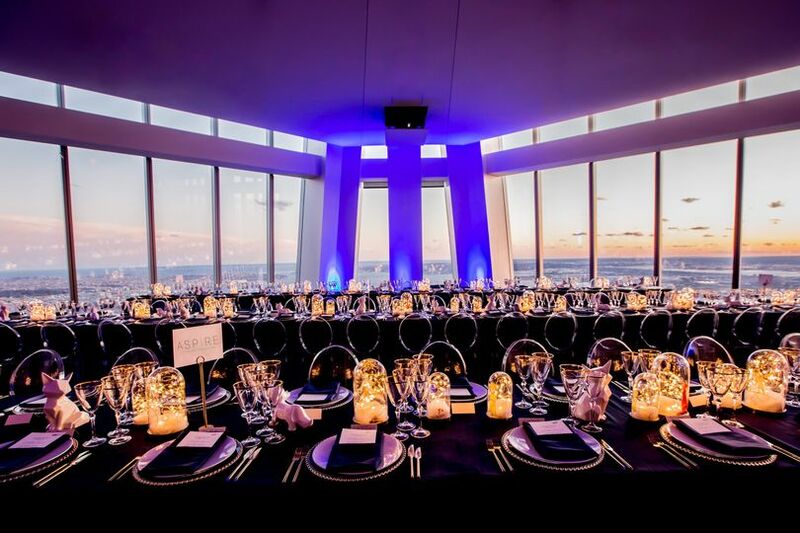 Aspire is a 9,000-square-foot space that is situated on the 102nd floor of the One World Trade Center, offering floor-to-ceiling windows with panoramic views of the city. 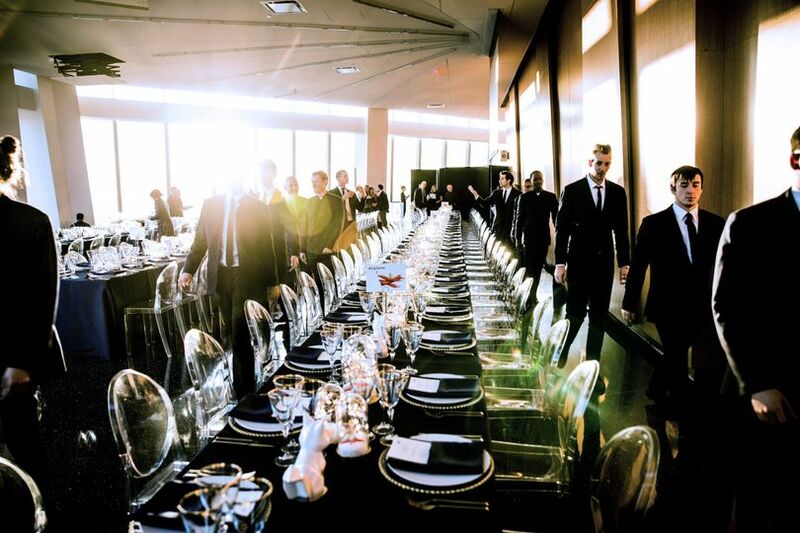 It can accommodate up to 450 guests, providing couples with an expansive floor plan that can be custom designed to suit their needs. 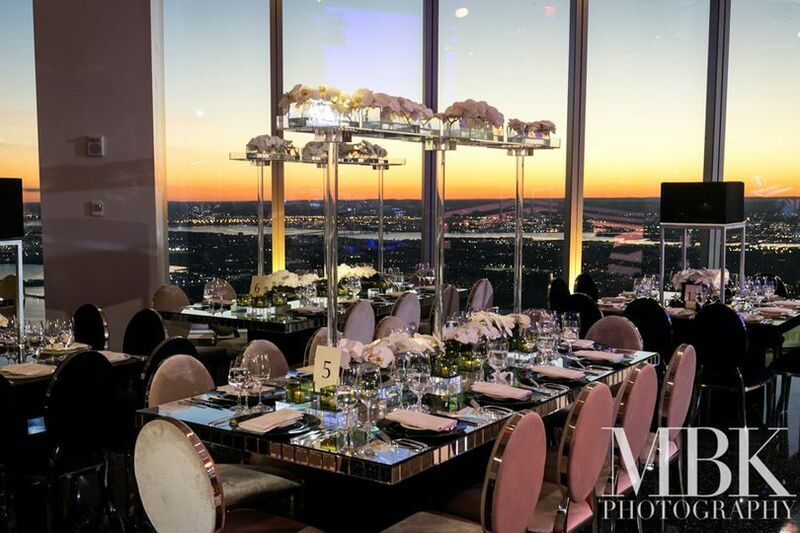 The rooftop setting offers a minimalist blank canvas that can be tailored to your vision, allowing you to host the most important day of your life on top of the tallest building in the Western Hemisphere. 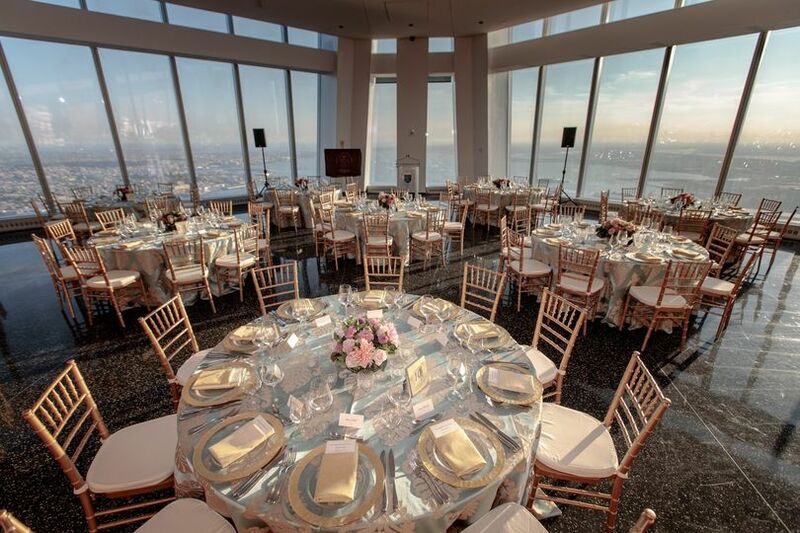 Aspire’s team of culinary and catering professionals will provide you with premium food and beverages that create a culinary experience that is as astonishing as the view from the 102nd floor. 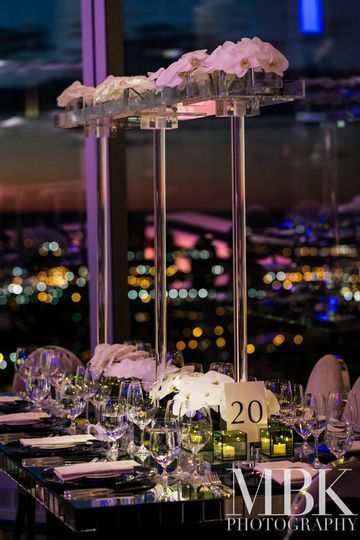 Their hospitality artisans and in-house top chefs combine the latest food trends with classic and savory cuisine, providing you with a custom designed event menu that wows your guests and complements your sophisticated celebration.